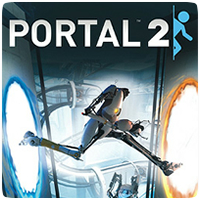 Portal 2 on the PlayStation 3 will be getting a patch that adds PlayStation Move compatibility to the game. The patch will also offer 20 new Test Chambers that will require the Move controller. The patch will also lets gamers use the Move controller in the main single-player mode too. The E3 Trailer below shows off some of the mind-bending puzzles you will get in the patch. Watch the below video for an extended look into how it all works.